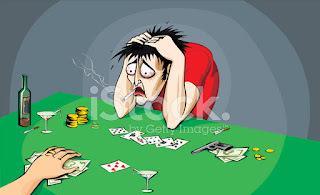 Successful poker players recognize when they don't have a winning hand and fold before they toss good money after bad. It's like the Old Kenny Rogers song. Eventually, you learn lessons that work the same way in writing. Some ideas are bad, and repeating them won't make them any better. Last year, I participated in three author events that featured a cast the size of a Russian novel. 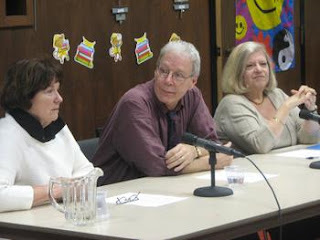 Last March, my library brought 31 authors together, from all genres, and asked us to speak for five minutes each. That's two and a half hours of speakers for an event that would only last three hours. Many of us cut our remarks short or didn't speak at all, but by the time everyone was through, most of the audience left. So did many of the authors. I sold two books and don't know if anyone else sold more than that. On a beautiful Saturday in June, the first perfect beach day of the season, I joined 18 other mystery writers at a Barnes & Noble. My experience is that if you put more than four writers in the same genre together, they cancel each other out. To make things even worse, this store wanted us to speak for 15 minutes each (Math wasn't the manager's strong suit), and a demonstration against the current immigration policy took off a mile away at the same time we did. We outnumbered the patrons who came into the store, even with a Starbuck's downstairs. The same results transpired with 15 writers at a local venue in December. 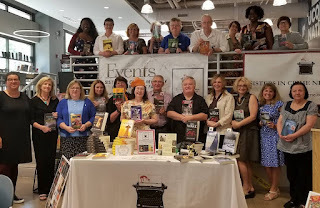 We represented several genres, but how many people come to an event planning to buy 15 books? I talked to ten of the other writers (most of us left early), and nobody sold a book. Was it Einstein who said insanity is running the same experiment over and over the same way and expecting to get different results? Whoever it was, he was right. Last summer, another library where I'd been trying to get a workshop off the ground for four years invited me to participate in a local event. Pending further details, I said I was interested. The tentative date was April, which gave me time to order books, get a haircut, and iron a shirt, right? Three weeks ago, the librarian sent the result of four months' planning. They wanted four mystery writers to present a panel (No topic mentioned) from 10:30 to 11:30. 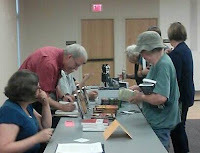 Three more panels would follow, and all authors could sell and sign books from 2:30 to 4:00. No refreshments, no activity while panels that people might not wish to attend, no further details. 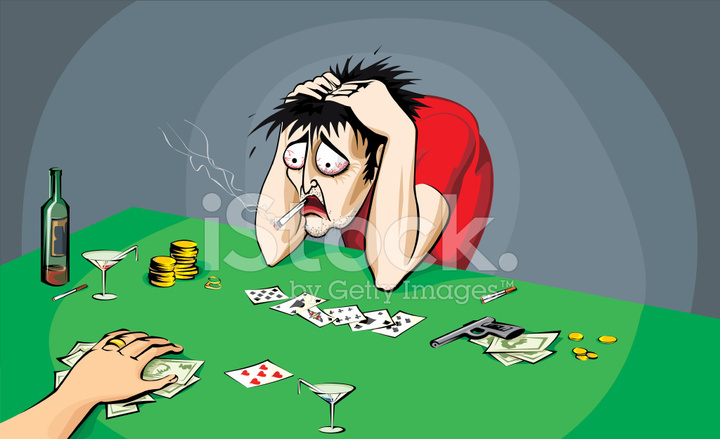 I decided this was a losing hand and bailed out (See Einstein and Kenny Rogers). Since November, two indie bookstores have opened within 15 miles of my condo. One offers a consignment split with local authors at 55%-45%, the worst deal I've ever seen. Writers pay a fee to get into the store's data base to sell those books, and the store will only take three copies of a book. Given that arrangement, I can't break even. But if they DON'T sell the three books, they don't refund my fee. As real estate magnate Hollis Norton said back in the 80's "It takes money to make money, but nobody said it had to be your money." The other store requested an email through their site that included a book title, ISBN, synopsis, cover shot, my website, my social media, and a bio. I was tempted to include a blood sample, but couldn't attach it to the email. I don't want to do an author event, but I'd like to know the consignment split. I've sent them three emails over the last month. They haven't responded yet. 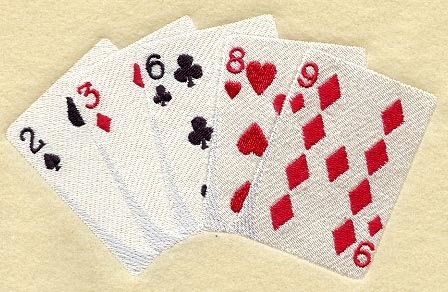 This looks like another bad hand. I only sent a story to one market that didn't pay. They offered to promote my newest book, though. They published a black and white photo with no explanation on pulp paper (the dark cover became three blobs in shades of gray), formatted my story so the right margin looked like a seismograph, and asked me to get two reviews. The people I asked both gave the magazine a two-star review on Amazon and got hate mail in return. Sayanora, Kid. Have a nice day. As the year winds down and I still wait for the last microscopic royalty check, I can't help noticing how quickly the publishing landscape changes. Axioms from a few years ago are now irrelevant and all you can do is try to keep up. My one concrete takeaway from 2018 is that I finished in the black for the first time since 2015. As usual, it's not because of book sales, but from events. About 47% of the income associated with my writing comes from workshops and panels. Self-publishing means you do lots of promotion, which takes away from actual writing time. Tomorrow night, I will join a Sisters in Crime panel on promotion, but I'm not sure I really know anything to pass on. As things change, there's a good chance that I will guess wrong. I hope that I learn from those mistakes. My only core beliefs are (1) a good book is your best marketing tool. People will tell other people about it. (2) That same word of mouth is still your best advertising method. That means that you have to write a good book and behave yourself. Don't be a jerk because word gets around, and people don't buy stuff from jerks. How do you get news of your book out there? That's a tough one. More and more "experts" agree that social media does little unless you're already well-known. Lee Child, Stephen King, Laura Lippmann and a handful of other writers can tweet about their new book and watch it fly off the shelves, but it doesn't work for mere mortals like me. Every writer I know has a website and most of us have a Facebook page and maybe other accounts like Twitter or Instagram. Even though I post events and invite people on Facebook, they will only buy the same book once, so I can only invite a person to an event once or twice a year unless they like to stalk me (Hey, there's another plot idea!). I no longer do a "reading" because they don't return much. 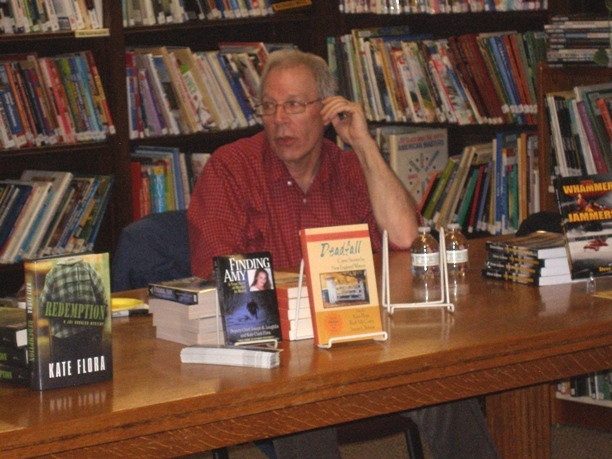 I used to sell a book for every seven or eight people who attended, and often had fewer than seven attendees. 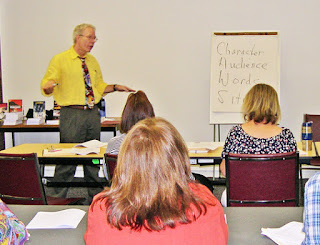 Conducting a workshop means I actually get PAID, and I used to sell a book for about every three attendees. Maybe they felt they owed me because I gave them something back. Maybe they enjoyed the presentation. Maybe I wasn't a jerk (See above). Whatever the case, that number no longer holds true, either. I used to charge libraries a flat rate for the workshops and draw ten to twelve people. 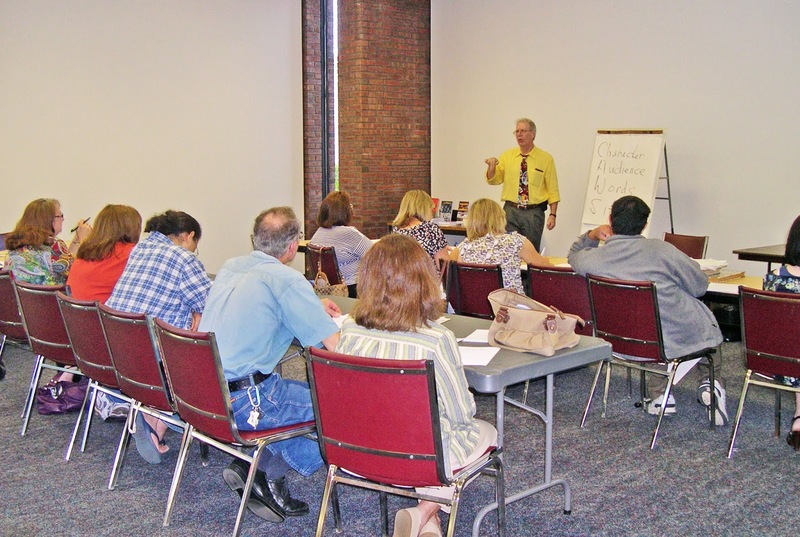 I also used to conduct six or eight workshops a year. Unfortunately, library budgets in Connecticut have been slashed over the last three years, so in 2017 and 2018, I did a TOTAL of two workshops in libraries. How have I kept up with the changes? Truthfully, I'm still struggling. The Storyteller's Cottage, about twenty miles from my condo, opened late in 2017 and does events almost daily. They promote local writers and do lots of events, including both workshops and signings. The staff is great and they promote like mad. They're worth their weight in uncut cocaine. BUT the Victorian house built in the 1890s has tiny rooms, with a capacity of about six people and my ego. I've done eight workshops there in the last year, but we split the tuition. That means a packed workshop nets me less than half what I made at libraries, and I seldom sell more than one book. Last November, the cottage began selling local author's books on consignment at a generous split. It's better than a poke in the eye with a sharp stick. I have several workshops set for next year already, so it's a little something. The good news is that people show up and feel I'm worth having back. Last spring, O'Neil De Noux invited me to join an eBook package with nine other writers. I sold a lot of eBooks because people had to buy mine to get the Lawrence Block or Dean Wesley Smith book. I've never done that before, and it worked out well. Thanks, O'Neil. Five short stories were to appear this year, my personal best (I hear several other Sleuthsayers snickering because that's a decent week for them). Four of them are to markets that didn't exist two years ago, which is good because many of the older markets have disappeared. Less advertising revenue is going to print media now, so both Ellery Queen and Alfred Hitchcock, reliable markets since the late 1940s, have scaled back to six issues a year from their original ten (two double issues, Christmas and Summer). That means they buy fewer stories. Two of the five stories went to quarterly magazines that are still finding their way. One last appeared in May and the other in July, but they both told me their next issues would be out "in about two weeks." That was before Veteran's Day. I like to promote magazines that publish my stuff, but when they don't come out as promised, I look bad and can't help them. Since June, three indie book stores have opened in my area. I've visited them to discuss consignment sales or events. I've met with with nice people who are still figuring out how things are going to work, so nothing is settled yet, but it's another way to go. Create Space has become Kindle Direct. 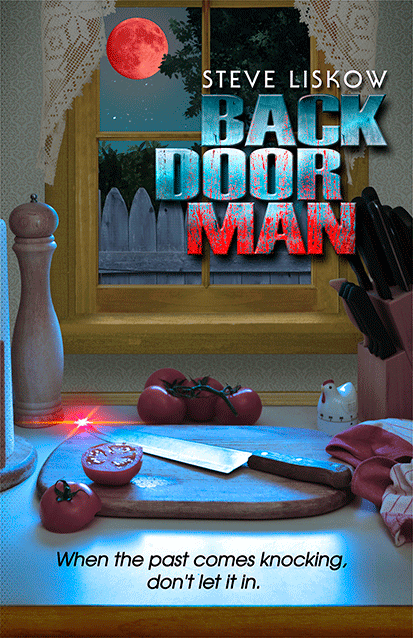 The mechanics of publishing Back Door Man were mostly the same, but the few changes were all to my advantage. I received proofs more quickly, so I could OK them and order copies more quickly, too. I can navigate the new site a little more easily to track my sales, too. Someone who understands computers and marketing could do far more than I can, but I'm a little less ignorant than before. 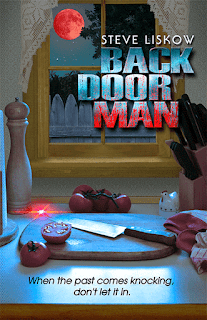 My cover artist didn't like the name of a band that appeared in Back Door Man, so I posted a "Name the Band" contest on my website and Facebook page and with Sisters in Crime. The person who gave me the best new name for the band (I ended up using two because they were both great) became a minor character in the book (not a victim) and received a signed copy. One recipient has already posted a five-star review. The other reviews on a website I had never heard of before...and she has over 1000 followers. As Herman's Hermits said, "somethin' tells me I'm into somethin' good..."
2019 will be different, and differently. I have sold stories to two anthologies that will appear in late 2019 or early 2020, and I'm about 75% through the first draft of another Woody Guthrie novel. Five short stories are under consideration with various editors now and I have two more in progress. 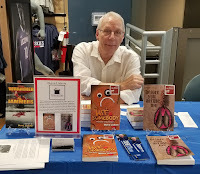 I have six events planned and I'm waiting to hear from those indie book stores. Next week, I will be pitching another workshop at another venue. If you aren't changing, you're falling behind. 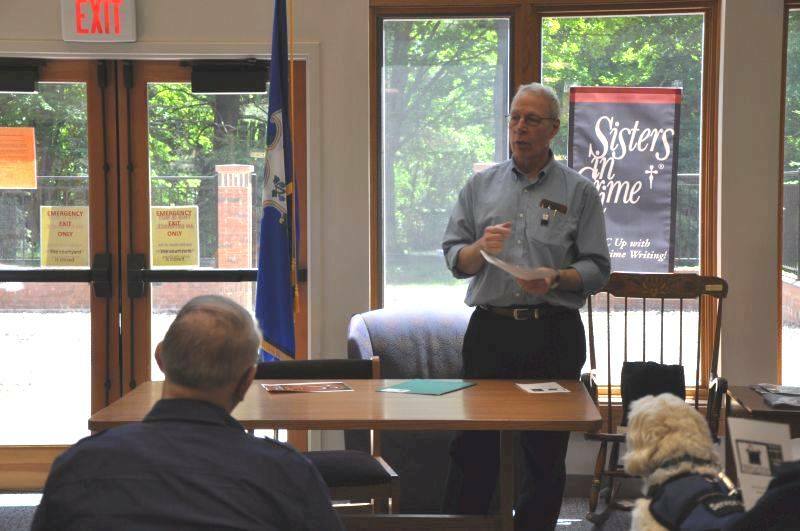 Two weeks ago, I joined fourteen other authors at a fund-riser for the New Britain (CT) Public Library. I taught high school English in the town for thirty years and some of my former students showed up, one of them as a fellow author (see? I did something right). 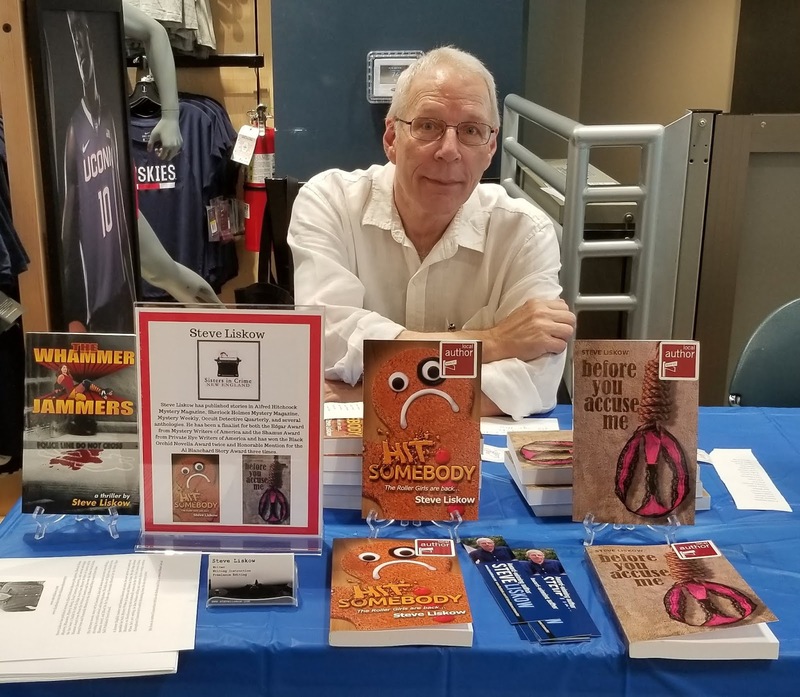 Another former student works at the library, and several of my books are set in central Connecticut, so I had some sales advantages. I usually avoid events with more than five or six authors because we tend to cancel out each other's sales. Such affairs generally offer "exposure" (try paying your dentist with "exposure" and let me know how it works) instead of a fee, too. Selling books is always iffy, but this event gives the authors better odds. 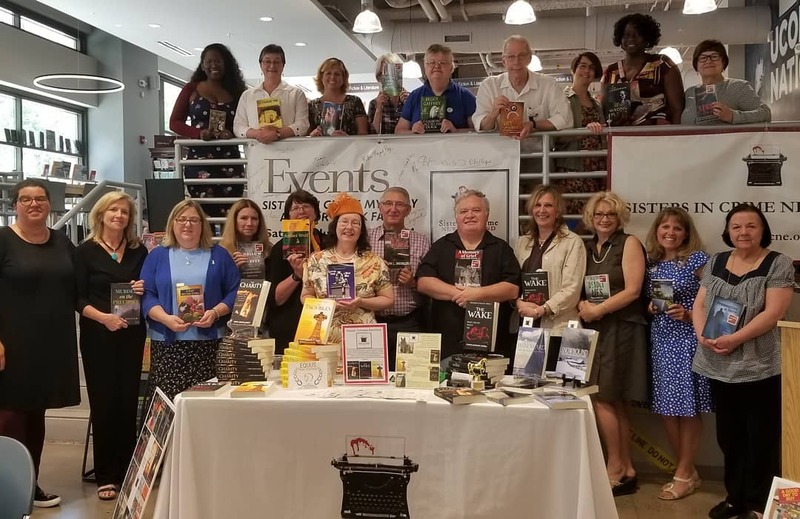 Literary Libations occurs every other year, and the organizers host authors in various genres who have released a new book since the previous event. 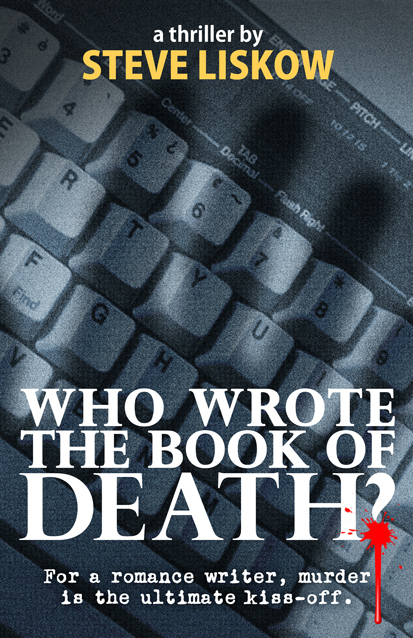 I only knew three of the other writers (including my former student) and only two others write mysteries. I was between a young poet (who had a great sense of humor and made out like Charlie Sheen) and a college professor with a new textbook. No competition there, right? The organizers charge a hefty admission fee--in advance--because it is a fund-raiser (authors get in free and they even feed us). That large fee conditions people to spend money on new books. A local caterer offers everything from hors d'oeuvres to pasta to ice cream, and they have a cash bar. If you've never worked an event where alcohol flows, you won't believe how it can spike your sales. This year, the librarian greeted me by asking, "Have you seen your gift basket?" I had no idea what she was talking about, so she showed me the prize table. Fifteen people assembled gift baskets as raffle prizes, and one couple liked my first novel Who Wrote the Book of Death? (set in New Britain, of course, and mentioning local landmarks) so much they gathered the various wines and snacks the book mentioned into one lavish gift. That floored me, and it got even better when I learned that same book was the topic of the library's book group the following week. Guess what? I sold a lot of books (ate well, too). The picture shows Alderman Don Naples and his wife, who assembled the gift basket, along with Arnaldo Perez, the lucky winner. 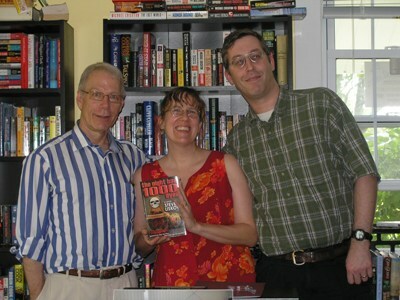 The seedy-looking guy on the right autographed the book for him. Within two days, the organizers sent me a thank-you note for appearing and asked for suggestions to make the next event even better. I told them I wished every event went as smoothly as this one had, and hoped they made as much money as their planning and hard work deserved. Then I suggested that the library discuss another one of my books in two years.